A TV in the lounge and another one in the separate bedroom. St Gely despite its proximity to a large city like Montpellier is already located in the Cevennes atmosphere. An environment of hilly pine forest landscape ensures very 'nature'. Large activity center and leisure facilities are south of the city like cinemas, ice rink, aquarium and many others. They are easily accesible (20 mins by car) and enough away to not have any nuisance in terms of large caps or tourism. 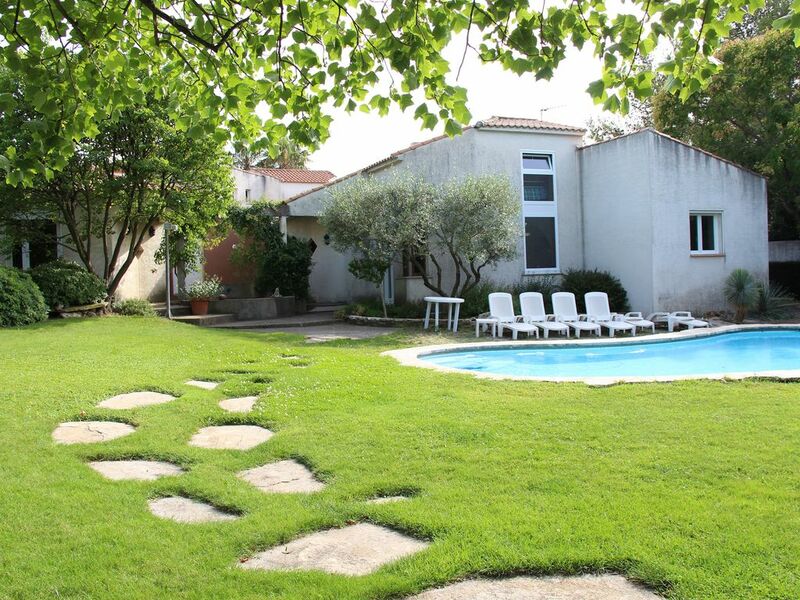 The access has little Montpellier easily be done by Tram, the first station is 5 minutes from the house. The spirit of our small town of St Gely village is very calm, small shops, bars with sunny terraces. The village you have a beautiful golf course, a wildlife park and traditional sports equipment but also a dozen restaurants, and medical infrastructure more efficient. St Gely du Fesc is a city livable.